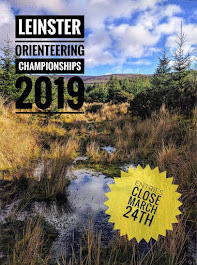 Curragh Naas Orienteering Club: The Hunt is On. Ever wonder how you could bring Orienteering to the masses. As we all know it is not a spectator friendly sport and not everyone knows what orienteering is,So heres an idea that we should sell to TV stations. Imagine if two people take off into the hills with a map, a compass and a head start. The tracker is on horseback, armed with a local guide and an arsenal of forensic skills. The prey have 36 hours to reach a finish line some 40 kilometers away without getting caught. How they escape is up to them. It would be huge, in this reality TV world everyone seems to be caught up in, OK its not my idea but an American TV show that is now into series inits fifth year. This year they have got brothers and sisters, best friends and band mates, even a mother and son! Some got their training in the army, others from the street, but they all come up with new and imaginative ways to trick the tracker. The prey are out for glory ... and Mantracker is out for blood! I bet Shea and Colm could outrun this guy !!!! The JK is coming and we need you.